Wellllll, it was NO surprise that you came into my Lutz photography studio with such awesome hair- your mama is an amazing hair and makeup artist in Tampa and so I just knew your locks were going to be special. I mean when you come from greatness, it is pretty much a guarantee right? Anyway, you showed up, (looking awesome) and proceeded to have one of my favorite sessions! 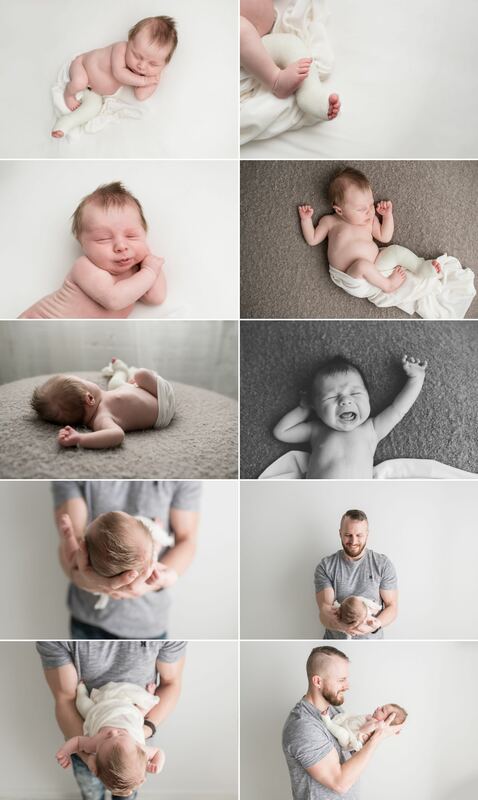 First of all you were a great sleeper- always a benefit at a newborn session, but when you were awake you were as happy as a clam (which is also a benefit at a newborn session). Plus, your mama brought this elephant that she wants to photograph you with month to month and right when you laid right beside it you gave a monster PERFECT yawn. It could not have been better timed or any cuter. 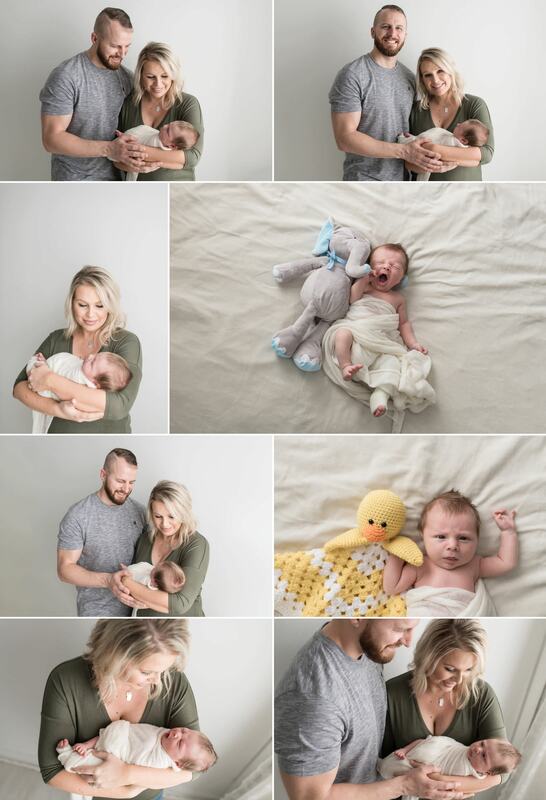 You even rocked your family portraits- Grey you had a pretty rad newborn session! See what I mean about sleeping well? This guy was a total doll- sleepy and sweet! We laid him on a white blanket and he did all the heavy lifting (and by lifting I mean he slept like a champ). I love how sweet your mama and daddy look while holding you Baby Grey. Look how they smile- I see a mixture of love and pride there. Pretty amazing right? There it is- the epic yawn. I love that you yawned a ton because it is such a great face to make. I can tell already you are going to be an expressive little one. Thanks for coming to see me! 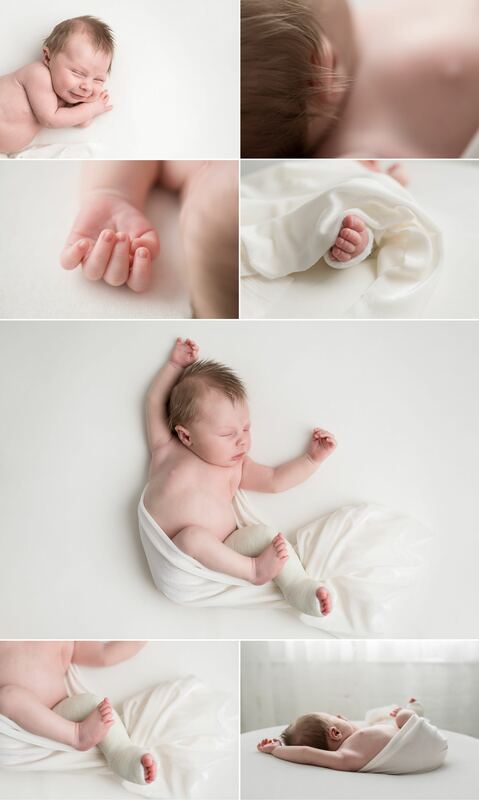 If you are interested in having me capture your newborn’s first days on this planet- you can email me at info@alisonwinterroth.com, call me at 813.335.7393 or click the button below to get started reserving your date. My studio is located of State Road 54 in Lutz and it is 1200 square feet of photography fun.